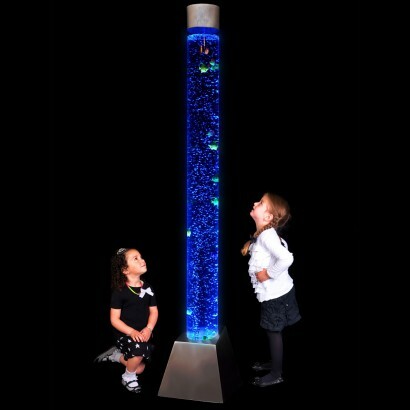 Standing at a staggering 180cm or almost 5ft 11" this is our tallest bubble tube lamp. Whether used as a key feature in a sensory room, or as the most impressive floor lamp at home, this colourful mood lamp is sure to impress. 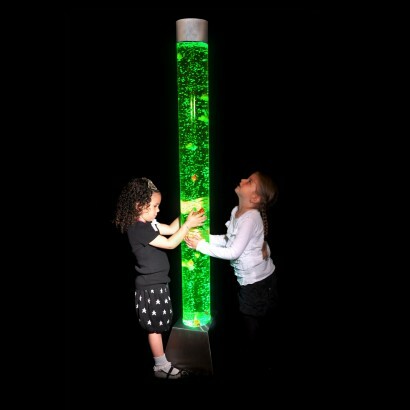 When used in a 'sensory' capacity bubble tubes are a great way to encourage visual development. 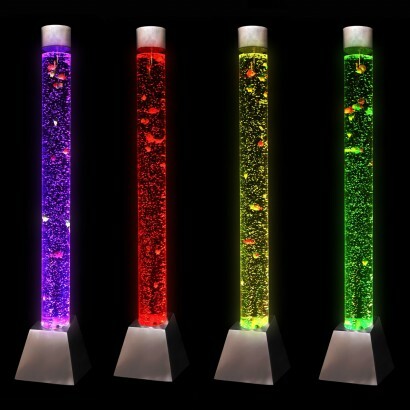 The constantly moving bubbles and colour changing effect can be both calming and stimulating and are suitable for all ages from babies to the elderly. The lamp is supplied with two pumps go give you the option of having more rigorous bubbles and using the fish (included), or use the quieter pump for a more gentle experience (not powerful enough if used with the fish). The lamp can be filled with normal tap water, because there is no heat generated and the water moves, and so limescale is unlikely to cause a problem. 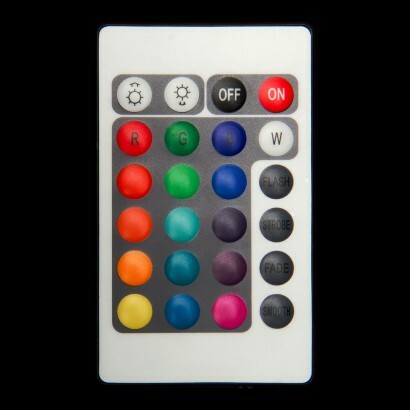 Use the remote control included to choose from a wide range of colours and speeds and drop in the fifteen plastic fish included to enhance the mesmerising effect. Fantastic! Am delighted with the giant bubble tube. It was really straight forward to assemble. Arrived really quickly. My Daughter loves it.